Summary: An iconic Australian story of family, friendship and adventure, between a young boy and a scrappy one-of-a-kind dog that would grow up to become an Australian legend. Nobody ever expected the original Red Dog film to go onto the greatness that it did when it was released back in 2011. Somehow the little Aussie family film showed the world that the Australian film industry wasn’t dead. While the industry had seen many Aussie filmmakers try the comedy vein, it seems it was the family comedy vein that still had life in it. 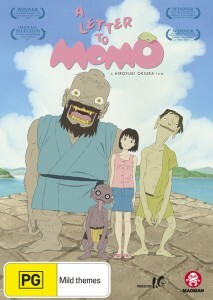 The film grossed over $21 million in Australia alone. Of course, not surprisingly word of a Red Dog sequel started to seep through while the first film was still raking in money at the box office. The only man who didn’t seem interested in the concept was the director Kriv Stenders (Boxing Day) who was already busy on his next project – the cult film Kill Me Three Times starring Simon Pegg. 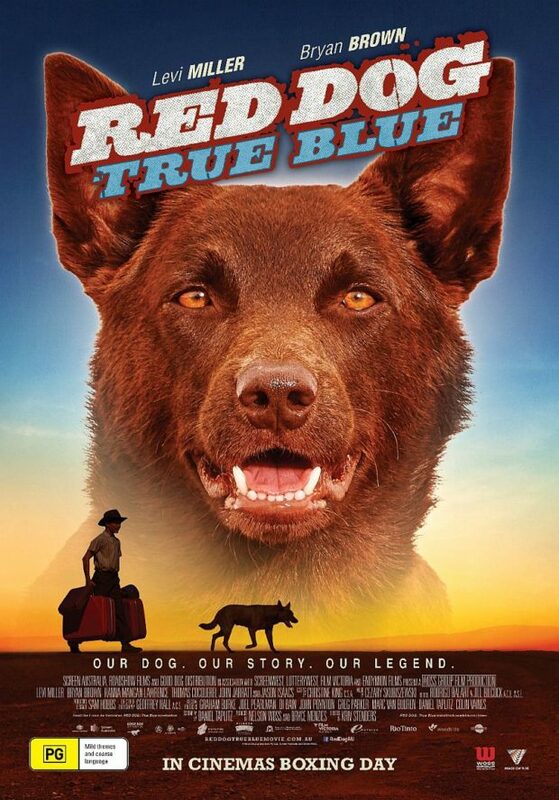 Along the way, though something changed and now five years later we find ourselves sitting down to watch a prequel to the original – Red Dog: True Blue. There is little wonder that Stenders was nervous about making another Red Dog film, a dud could tarnish the legacy that the first left behind. Luckily though Stenders once again teamed up with screenwriter Daniel Taplitz (Chaos Theory) and together the two men came up with a film that is different enough from the original film to give it its own identity, but not different enough to alienate fans of the first in the series. This second film is told through the eyes of a Perth father Michael Carter (Jason Isaacs – Black Hawk Down) who after watching the original Red Dog movie in the cinema recounts the story of how he was actually the original owner of Red… or Blue as he was called back then. His story tells of his younger self (Levi Miller – Pan) being forced to leave home because of his mentally unstable mother and moving to outback Western Australia where he lived with his grandfather (Bryan Brown – Australia). On a cattle station. The story sees Mick meet Blue and tells of the adventures that they had together including Mick falling in love for the first time, with his tutor the young and beautiful Betty (Hanna Mangan Laurence – Acolytes). Fans of the original film will see very early on that Stenders and Taplitz are onto a winning formula when they see the creative way that leads to Michael Carter telling his story. While it seems a little strange for the film to be referencing the first film so openly, but at that same time it so creative that you can’t help but applaud at the pure genius act that the two men have managed to deliver. 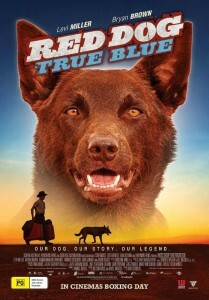 While Red Dog: True Blue is creative it does lack a little of the emotion that we felt from the first film. I’m man enough to admit that I teared up twice during Red Dog, but here Stenders and co takes the film in a completely different direction, this time the film is a pure coming of age story that sees a young boy take his dog with him on the start of life’s journey. While the film does also have a few moments that are likely to make you chuckle it doesn’t have anywhere near as many comedic moments as the first movie either. Those that benefit from Stenders work here is the cast. Levi Miller is almost unrecognisable as the younger version of Mick and he settles into the period style of the film well. It is great to see Hanna Mangan Laurence back on the big screen and hopefully, we see her there again soon while as usual Bryan Brown leads the way with a mature performance as he leads the cast despite seemingly being in auto-pilot for most of the film. The big scene stealer here though is John Jarratt (Wolf Creek) who has a cameo as mining magnate Lang Hancock… and boy is it a cameo to remember. Red Dog: True Blue is a smooth, enjoyable ride for the whole family. It might not reach the heights that the first film did but it is still a film that holds its own and reminds audiences just how fun it still can be to watch a coming-of-age story. The fact that it is being released on Boxing Day makes it the perfect family cinema outing this holiday season. IMDB Rating: No rating available. Other Subculture Entertainment Red Dog: True Blue Reviews: Dave Griffiths broadcast a Red Dog: True Blue on 2UE’s That’s Entertainment on the 8th December, 2016. Summary: When Robert Langdon wakes up in an Italian hospital with amnesia, he teams up with Dr. Sienna Brooks, and together they must race across Europe against the clock to foil a deadly global plot. Inferno sees the arrival of yet another attempted franchise reboot in 2016. We’ve seen Ghostbusters and Bridget Jones’s Baby arrive with mixed success now we find Academy Award winning director Ron Howard (A Beautiful Mind) rebooting the Robert Langdon franchise some seven years after its last instalment. 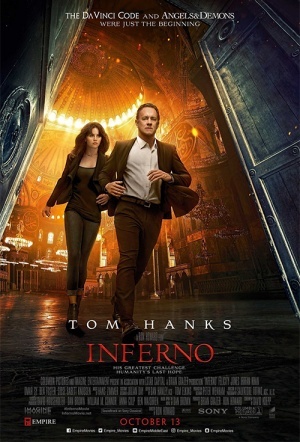 Based on the novel by Dan Brown Inferno begins with Robert Langdon (Tom Hanks – Forrest Gump) waking up in a hospital with no memory of how he got there and being hunted by a assassin (Ana Ularu – Serena). After managing to escape with Dr. Sienna Brooks (Felicity Jones – The Amazing Spider-Man) Langdon starts putting together the pieces and realises that he must try and stop an apocalyptic event set by Bertrand Zorbist (Ben Foster – Warcraft: The Beginning) who believes his actions will actually save the world. But as Langdon tries to overcome memory loss and put the pieces together to solve the mystery things are made even more difficult by him when he realises he doesn’t know which World Health Organisation agent he can trust, Dr. Elizabeth Sinskey (Sidse Babett Knudsen – Westworld) or Christoph Bruder (Omar Sy – Jurassic World). To add to their confusion the audience also learns there is a puppet-master in the wings in the form of Harry Sims (Irrfan Khan – Life Of Pi). While watching Inferno you do start to realise that this is going to be a film that divides its audience. For the regular popcorn set this is going to be a film that delivers a fairly decent, if not at times confusing, crime thriller plot that shows you just as many European landmarks as a Bond film. For the more seasoned film goer though this is a film that reveals some of the laziest filmmaking Ron Howard will deliver during his career with a clichéd plot that just follows the same sequence over and over – Langdon arrives in a city, goes to find the puzzle piece, is chased by Police and uses an ancient tunnel to escape and then moves on to the next city. There is also a level of inconsistence around the character of Robert Langdon that surfaces right throughout this film and despite the work of screenwriter, David Koepp (Jurassic Park), to pass it off as part of Langdon’s amnesia it simply doesn’t work. Rather than being a gritty thriller Inferno becomes more of a fun ride as the audience gets to see European city of European city while there is a mid-level of suspense and you try in your mind to put the pieces together at the same time as Langdon does… although that it made a hell of a lot easier if you are up to date on your Dante. The big tip for the audience is to not let to get too bogged down in the ‘historical’ parts of this film or you will be scratching your head and hurling popcorn as you struggle to work out what the hell is going on. Likewise this is a movie that Tom Hanks just seems to breeze through. While Sully recent saw Hanks once again reveal his wonderful character acting skills here Hanks wears the character of Robert Langdon like an old slipper, it’s a role that he is obviously comfortable in but doesn’t deliver the acting heights that we know he is capable of. The same can be said for Felicity Jones who isn’t given a huge amount to work with and even disappears for a quarter of the film. The big winner in the acting stakes is Sidse Babett Knudsen who makes good use of the screen time she is given. Omar Sy and Irrfan Khan are also wasted in their roles, the latter being given a role very similar to a poor man’s Bond villain as he plays a character that leaves the audience asking… is that even a profession? The best way to enjoy Inferno is to just go into the cinema expecting a fun film. While it isn’t exactly a borefest it certainly lacks the suspense of Angels & Demons and is a lot more clichéd than the Da Vinci Code. Did the Robert Langdon franchise need Inferno? Probably not! Other Subculture Entertainment Inferno Reviews: You can also listen to our Inferno reviews on The Good The Bad The Ugly Film Show Ep #196. Dave Griffiths also delivered his Inferno review on the 12/10/2016 episode of Living Fresh with IGA with Ed Phillips on 2UE. Summary: A story set on the offshore drilling rig Deepwater Horizon, which exploded during April 2010 and created the worst oil spill in U.S. history. Peter Berg (Friday Night Lights) has to be one of the most underrated film directors going around. Barring the ill-fated Battleship Berg has created always created films and television shows that felt as natural as can be. Lone Survivor made the audience feel that they were right there on the battlefield while many made the mistake of watching Friday Night Lights and thought they were watching a reality television show about a High School football team. Now Berg has taken that natural style of film-making and introduced it to the disaster film genre. 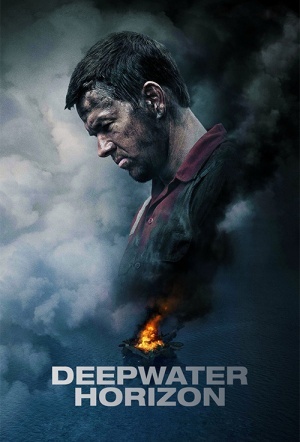 Deepwater Horizon tells the true story of electrician Mike Williams (Mark Wahlberg – Lone Survivor) who in 2010 left his wife, Felicia (Kate Hudson – Almost Famous), and once again went to work on the oil rig named ‘Deepwater Horizon’ in the Gulf Of Mexico. What he didn’t know was that on that fateful day due to poor work safety practices by BP an accident would occur that would cause the rig to erupt into flames. Suddenly Mike and his colleagues including his boss Mr. Jimmy (Kurt Russell – The Thing), radio operator Andrea Fleytas (Gina Rodriguez – Filly Brown), hard worker Caleb Holloway (Dylan O’Brien – The Maze Runner) and BP representative Vidrine (John Malkovich – Red 2) all find themselves fighting for their lives. As a filmmaker Berg should be congratulated for his work with Deepwater Horizon. It was no secret that some of the survivors of the real Deepwater Horizon disaster were hesitant in wanting this film to be made, but they need not of worried. Berg certainly doesn’t ‘trivialize’ the memory of the men who died on that fateful day by making this a popcorn action film. Instead he makes this a character drama about not only the men who died on that day but also shows the world the valiant actions of people like Mike Williams whose brave acts saved many of the workers. To his credit Berg also doesn’t hide the facts of exactly what happened that day – no he points the finger firmly at BP without any hesitation even though he wouldn’t have known how the huge corporation would have reacted to it. Many films these days claim to be suspenseful but few filmmakers have the skills to make the audience feel as part of the action and suspense as Berg does here. While with Lone Survivor the audience felt they were there on the side of the hill during the battle here Berg’s realistic style of directing makes the audience feel you are right there on the rig with Mike… you even at times feel like you can feel the heat of the flames against your skin. Berg’s filmmaking is also well supported by his screen writers who don’t waste time making this film too scientific. The audience is given bite-sized pieces of information about what an oil rig does and what has gone wrong here but they never forget that at the heart of this film it is a character drama. 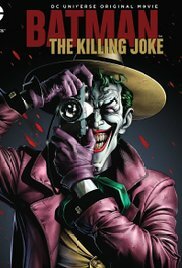 So instead of focusing on the ins and outs of the rig they concentrate the suspense around a man trying to get home to his daughter and wife and a scared woman trying to survive in order to see her partner again. The fact that little things like a dinosaur tooth for show-and-tell and car problems back home are so seamlessly inserted into the script just go even further into humanizing this story. Having said that though it is also important to point out the Berg and his cinematographer, Enrique Chediak (The 5th Wave), also create some amazing action sequences as the rig burns against a night sky. As a director Berg also brings the best out in his cast. Here Mark Wahlberg delivers the best of both worlds as he plays the action hero extremely well but also has the dramatic acting ability to pull off the character driven elements of the screenplay as well. Kurt Russell also benefits from one of the more meatier roles he has been given over the years and he is well matched by John Malkovich who is technically this film’s ‘bad guy.’ Despite her limited screen time Kate Hudson is also one of the standouts of the film. Deepwater Horizon is proof that a modern day disaster film can actually find the right mix of action and character drama. 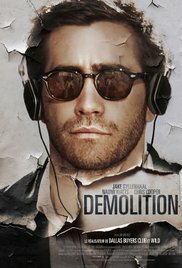 Brilliant directing by Peter Berg makes this one of the must see films of 2016. 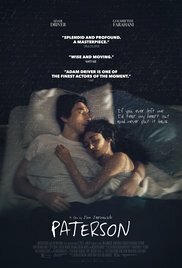 Summary: A mother unexpectedly meets her son’s fiancée at a villa in Sicily and gets to know her as she waits for her son to arrive. The first thing that hits you about ‘The Wait’ is that it is visually spectacular. The opening scene sees Massina take a leaf out of Australian filmmaker Jim Stamatakos’ playbook as he shows the audience a very visual look of mourners paying respects at Guiseppe’s funeral. This style of filmmaking is continued throughout the film as Massina will suddenly focus on things such as a piece of stitching hanging from a chair, that most other directors would completely miss. As a result some audience members will say that ‘The Wait’ drags along… but I dare to differ. Massina’s style of filmmaking only makes this film even more suspenseful. As the film goes along the audience will find themselves waiting for Jeanne to pick up on a clue that Guiseppe is dead or eagerly wait for Anna to breakdown and finally bury the charade. At times during the film you even find yourself wondering whether or not Guisippe is dead… is his mother simply trying to hid the fact that he doesn’t want to see Jeanne. There is also the fact that this style of slow , drawn out filmmaking also matches the long, hot days that the characters are enduring. Aside from the obvious suspense surrounding whether or not Anna will tell Jeanne what has happened or not the audience also find themselves drawn into a number of subplots including one that particularly suspenseful walk through the Italian countryside where you are left wondering whether or not the naive Jeanne is about to be attacked by two men she has just befriended at the lake. In a piece of cinematic brilliance Massina allows the whole thing to play out with looks between the characters and doesn’t rely on dialogue to raise the suspense. 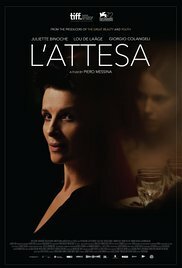 As usual Juliette Binoche shines in an artistic film. She relishes on scenes where she has no dialogue and is forced to let her emotions be shown with looks and expressions… to be honest if you loved her in ‘The Clouds Of Sils Maria’ then you are going to be equally impressed here. She is also well supported by young Lou de Laage who announces herself as an actress that is set to take European cinema by storm. With her beautiful looks and brilliant acting skills… the world is hers. To me ‘The Wait’ is a beautifully shot Italian film that makes me eagerly await for Piero Messina’s next film. His style his visually impressive and he can tell a story in a way that very few filmmakers can. ‘The Wait’ might be slow at times, but it is certainly far from a disappointment. Other Subculture Entertainment The Wait reviews: You can also listen to our full The Wait review on The Good The Bad The Ugly Film Show Ep #183.